Another excellent flash fiction month, writers. We’re so honoured that we get to set the theme and read your carefully crafted pieces every month. Amanda Craig won July’s competition with her tale of a new bride in a foreign land heaving with market squares, snake charmers and fortune tellers. Amanda, your piece will appear in the next Novelicious newsletter. Yo, writers! It’s Pinterest Prompt time, which sees us choosing an image we like from Pinterest that you guys then use as flash fiction inspiration. You can post roughly 200 - 400 words based on the image in the comments below throughout the month. Our favourite will appear in the Novelicious Newsletter, which goes out to thousands of book loving folks including editors, literary agents and other publishing professionals. A great way to get your name and writing out there! The monthly Pinterest Prompt event is an opportunity to flex your writerly muscles and partake in some friendly competition and critiquing with your fellow writers. We pick an image we like from Pinterest on the third Wednesday of every month at 2:30pm. You guys then use the image as inspiration and post 200 - 400 words of fiction in the comments below. 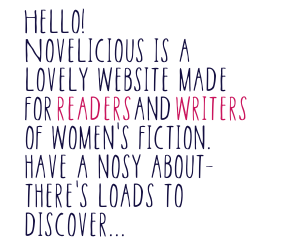 Our favourite will appear in the Novelicious Newsletter, which goes out to thousands of book loving folks including editors, literary agents and other publishing professionals. A great way to get your name and writing out there! We decided to be naughty and break the rules a little this time around in order to give our newsletter readers a double dose of excellent flash fiction. Time for the April Pinterest Prompt. New here? Allow us to explain. This monthly event is an opportunity to flex your writerly muscles and partake in some friendly competition and critiquing with your fellow writers. Before we set this month’s challenge, we wanted to offer our congratulations to Anna Mansell for an excellent and well-rounded piece of flash fiction. You will be taking the May newsletter spot! Very excited to see what you come up with this time, guys. We knew a foodie picture would get those creative juices simmering. What a brilliant bunch of entries February’s Pinterest Prompt had. Ultimately, Ann A J Ligali won our hearts with the lovely – and culinary challenged – Christopher, who got his revenge on the egotistical and smug Tom in the most delicious way. It was a really wonderfully crafted short. Congratulations on your win, Ann! We did just want to give a special mention to Christina, whose descriptions had our mouths watering. To August and RM Kealy, too, for their beautifully emotive prose and to Solange, who had us on the edge of our seats wanting to know what happened next. Here’s hoping you’ll all enter again this month. If you’re new, here’s the skinny. We pick an image we like from Pinterest on the third Wednesday of every month at 2:30pm. You guys then use the image as inspiration for 200 - 400 words of fiction, which you post in the comments below. Each month, we’ll pick our favourite, which will receive a prominent spot in our monthly newsletter, alongside bestselling authors such as Joanna Harris, Jodi Picoult and Sophie Kinsella. It’ll be read by thousands of book lovers and lots of industry professionals. We read all of the entries for January’s Pinterest Prompt at least four times over two rounds of tea. Choosing a winner certainly isn’t getting any easier but, in the end, we were tempted by a spot of crime flash fiction by Linda Sprott. Congratulations, Linda! We hope you’ll all enter again this round; reading your writing has become a real highlight of our month. If you’re new, here’s the skinny. We pick an image we like from Pinterest on the third Wednesday of every month at 2:30pm. You guys then use the image as inspiration for 200 - 400 words of fiction, which you post in the comments below. Each month, we’ll pick our favourite, which will receive a prominent spot in our monthly newsletter, alongside bestselling authors such as Joanna Harris, Jodi Picoult and Sophie Kinsella. It’ll be read by thousands of book lovers and lots of industry professionals. Here’s your image for February. Best of luck! Welcome to the very first Pinterest Prompt of 2014. This is your place to get some flash fiction practise and encouragement from other writers while showing us what you can do! We pick an image we like from Pinterest on the third Wednesday of every month at 2:30pm. You guys then use the image as inspiration for 200 - 400 words of fiction, which you post in the comments below. Each month, we’ll pick our favourite and the author will win a £20 Amazon gift card as well as a spot in our monthly newsletter, where we publish the winning piece of fiction. Yet again, you wowed us with your writing and made it almost impossible to choose a winner from December. Almost. We don’t know about you, but we’re feeling quite festive around here. The battle over when to open the Quality Street tin has already begun; we’re flipping through gift guides, have shed more than a couple of tears over this year’s John Lewis ad, and we're celebrating the exciting release of Holly Kingston’s laugh-out-loud noel novella. What better way to further throw ourselves into the Christmas spirit than by enjoying a hot mince pie while reading some festive flash fiction from you talented writers? It’s time to give the Novelicious Pinterest Prompt the yuletide treatment. Last month, you spooked us silly with howling winds, ghosts, men trapped in paintings, mysterious invitations and even murder! We had so much fun reading your entries and, as ever, it was hard to choose just one winner. That said, Charlotte Ingham really got under our skin with her piece about the lonely ghost with chilling intentions. The last line seriously made us shiver! Congratulations, Charlotte. You will receive your gift card via email shortly. This month, we’ve chosen a more merry scene and can’t wait to see what fictional delights you create. If you’re new here, you can see our previous Pinterest Prompts here. The premise is pretty simple. We pick an image we like from Pinterest on the third Wednesday of every month. You then use the image as inspiration for 200–400 words of fiction, which you post in the comments below. Each month, we’ll pick our favourite and the author will win a £20 Amazon gift card. The winning piece of fiction will also be featured in the Novelicious newsletter. Give it a whirl. Good luck! As the nights get longer and darker and autumnal storms roll in, is there anything more delicious than curling up with a good ghost story? With October being the month of haunts, ghosts and ghouls, we thought we’d offer a spooky writing prompt for you this month. If you haven’t taken part in our new monthly event for writers yet, you can see August and September here. We pick an image we like from Pinterest on the third Wednesday of every month. You guys then use the image as inspiration for 200–400 words of fiction, which you post in the comments below. Each month, we’ll pick our favourite and the author will win a £20 Amazon gift card. Simple and lots of fun! Though it was difficult choosing a winner for September with so many brilliant entries, Anna Mansell really caught our eye with an incredibly polished and emotive piece of writing. Congratulations, Anna! You will receive your gift card via email shortly. We really hope you’ll all enter this month and can’t wait to see what you come up with. Hint: Fancy some writing tips specifically geared towards short, suspenseful fiction? Sign up for our upcoming newsletter, where Kate Mosse will be talking about the inspiration and techniques behind her new book of short stories The Mistletoe Bride and Other Haunting Tales. There’s a chance to win a signed copy too. Without further ado, here is your October Pinterest Prompt. Welcome to the second month of our new writing event, The Novelicious Pinterest Prompt! If you’re new here, this is how it works. We pick an image we like from Pinterest on the third Wednesday of every month at 2:30pm. You guys then use the image as inspiration for 200 - 400 words of fiction, which you post in the comments below. Each month, we’ll pick our favourite and the author will win a £20 Amazon gift card. Simple and lots of fun! We were so impressed with last month’s entries, and it was great to see everyone pitching in with encouragement and constructive feedback. Alas, there can be only one winner. We've got a new series! We thought we'd do something a little more interactive for the writers amongst you. The Novelicious Pinterest Prompt is a monthly writing event occuring on the third Wednesday of every month at 2.30pm. What happens is this: we pick an image we like from Pinterest and you guys use it as inspiration for 200-400 words of fiction which you post in the comments section below. Then each month we'll pick our favourite entry and that person will win a £20 Amazon gift card! As well as being a light-hearted competition, we hope that The Novelicious Pinterest Prompt will give the writers visiting the site an opportunity to meet other writers and to give each other constructive feedback. So, without further ado, here is August's Pinterest Prompt! Entries are accepted from anywhere in the world, but must be written in the English language. This feature is for unpublished writers. Please include your full name with your entry. August's Pinterest Prompt is open until 12pm on Monday 16th September.